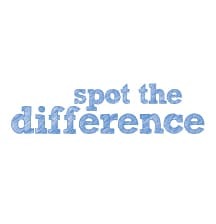 You can print out these "Spot the difference" images and then let the kids loose to see if they can find the difference between the 2 images. Can you spot the differences in Lucky the seagull below? Can you spot the differences in Dora the Explorer below? Can you spot the differences in the Cars 2 pictures? 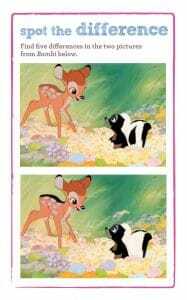 Can you spot the differences in the Bambi pictures? Can you spot the differences in Gnomeo and Juliet? 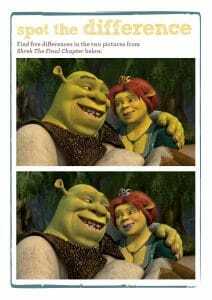 Can you spot the differences between the pictures containing Shrek & Fiona? Can you spot the differences between the images containing Tinkerbell? Can you spot the differences between these LEGO cars? 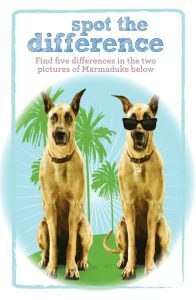 Can you spot the differences between the dogs?